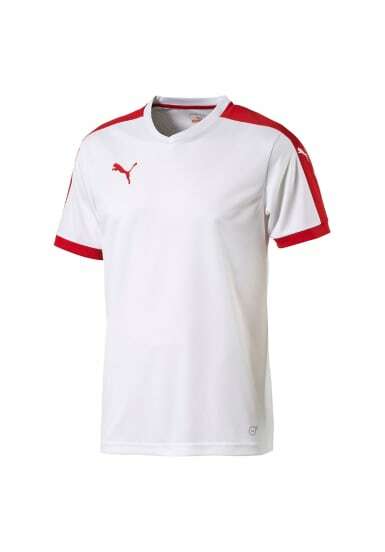 PUMA Cat brandings to righthand chest and sleeves. PUMA Form Stripe insert sleeve panels. 1x1 Rib sleeve cuffs for fit and comfort. Mesh back panel from comfort and temperature control. Crew Neck. 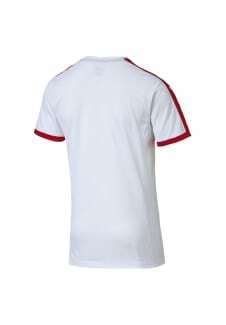 Double Knit Polyester Pique fabric. 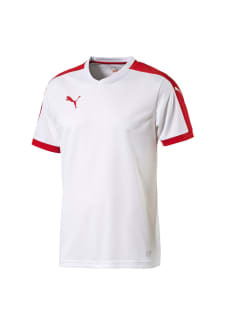 Clean, classic and distinctly Football.